I have my lovely in-laws here visiting from the USA so we took a trip to one of my favourite places, Balingup. This is usually gluten free Mecca but not this trip as the local 100% gluten free cafe has changed hands and is no longer open during the day it seems. But do not despair as the delectable cafe Taste of Balingup has lots of gluten free options prepared by a true foodie! 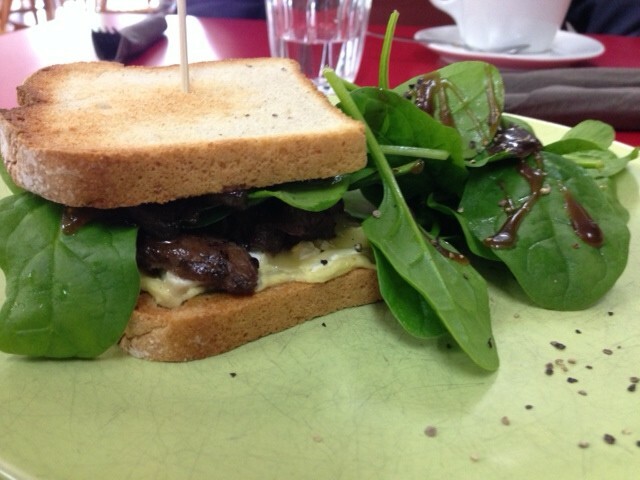 I had the posh steak sandwich with gluten free bread and it was very tasty with the brie cheese. The coffee at Taste of Balingup is also much better as use Bannister Down milk and there is a range of gluten free products to buy as well. Check out their website here.